While supplies last, Insanely Practical Guides are on sale! 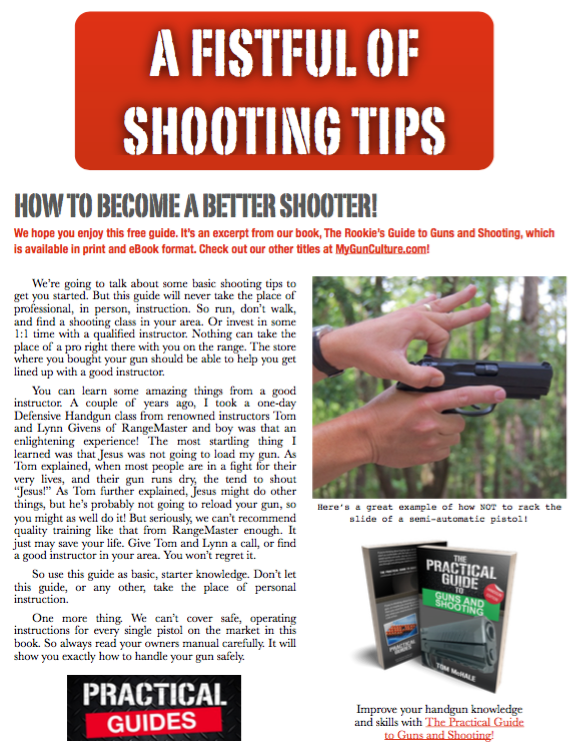 These informative and fun how-to shooting books will help you improve your practical shooting knowledge. If you want to learn about the world of guns, shooting, reloading, concealed carry and gun holsters, check out some of our books. Have a laugh or two. Life is too short for boring books. For a limited time, we’re offering paperback copies of Insanely Practical Guides at special prices. These are the exact same books currently on sale for $16.97 each (list price) ($12.97 for The Rookie’s Guide to the Springfield Armory XD-S) plus shipping. Now, you can buy them direct for $10 each for a two book bundle and $9 each for a three book bundle plus flat rate shipping of just $5. Want different titles? No problem, select the combination you want. How about one for you and one or more gift copies? No problem, just select the same book twice or even three times. If you’d like copies signed by the author with a custom inscription, no problem, just let us know in the comments when you check out.